In December 2008 we got an unusually heavy snow in Portland. You can draw a direct line between the day I took this picture and the day we adopted our dog Ellie. Our neighbor’s dog Porter saw me and came running over to say hello as he always did, always with the same enthusiasm, so I took a few pictures then put the camera down and played with him. He loved catching snowballs in the air and I so enjoyed my time with him that it got me thinking about getting a dog of our own. I had never given it much thought as I think our cat Templeton would have been miserable with a dog around. But he had died a year prior, and our three cats at the time had all met Porter and seemed fine with him, so my wife and I discussed it and a couple of weeks later we brought home Ellie. Porter was always eager to see me the entire time we lived there, old age eventually slowed the speed at which he’d come bounding over but it never touched his enthusiasm. He loved to run back and forth across the yard with me and he loved to be petted. He was well loved by his family and lived a good long life until his health rapidly declined recently. I will always be grateful for this sweet pup, not just for his role in bringing Ellie into our lives, but for every time he made my world brighter just by saying hello. 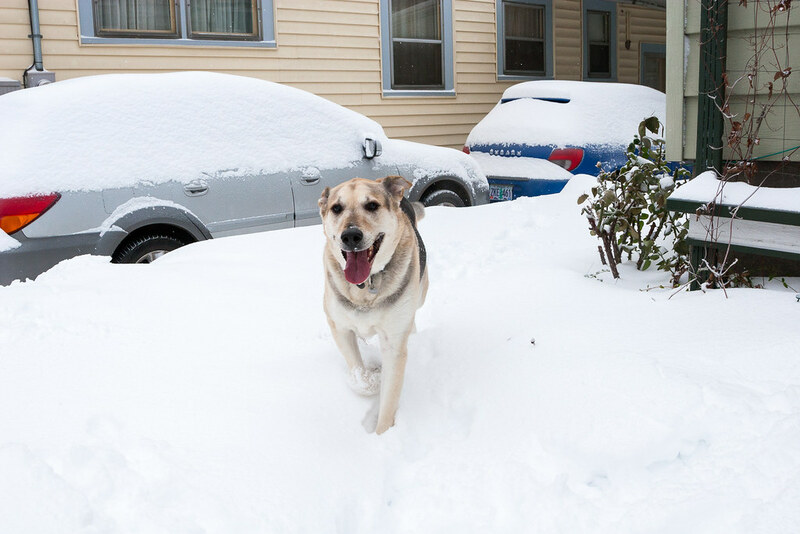 This entry was posted in Pets and tagged dog, german shepherd, Irvington, Oregon, playing, Portland, snow, winter. Bookmark the permalink.